WHAT IS THE COMMANDMENT GIVEN TO YHWH'S CHOSEN PEOPLE? The true Israel is known as the chosen people, but scholars and others never say what they are being chosen to do. Yhwh's Scripture is very clear about who is His Holy People, what is the job given to them (the true Israel) and what is the reason why they were chosen! YHWH (John 4:22, Acts 13:47). This is the reason why all the apostles, prophets and The Messiah were Hebrew Israelites. This is also why in Acts 10:, the angel of Yah told Cornelius the Italian to go to Peter the Hebrew Israelite, and that he would tell him what he ought to do. Peter taught Cornelius the full law of Yah (acts 10:33). This angel that told Cornelius to go to Peter could have taught him the law, all angels know the laws of Yah, but he didn't because it is the job of Israel to teach the world the ways of the Most High. So this angel sent Cornelius to Israel to learn the law. EXODUS 19:6 "AND YOU SHALL BE UNTO ME A KINGDOM OF PRIEST AND AN HOLY NATION. THESE ARE THE WORDS WHICH YOU SHALL SPEAK UNTO THE CHILDREN OF ISRAEL." YAH said he would make Israel a kingdom of priests, the job of a priest is to minister. If you're a nation of priests, who are you going to minister to? It wouldn't be to your fellow country men because they are also priest. Israel was going to be priest unto the world, and teach the world the commandments and laws of the creator. This was and still is the original plan. Zechariah 8:23, "THUS SAID YAH OF HOSTS; IN THOSE DAYS IT SHALL COME TO PASS, THAT TEN MEN SHALL TAKE HOLD OUT OF ALL LANGUAGES OF THE NATIONS, EVEN SHALL TAKE HOLD OF HIM THAT IS A HEBREW, SAYING, WE WILL GO WITH YOU FOR WE HAVE HEARD THAT YAH IS WITH YOU." JEREMIAH 16:19, "O YAH, MY STRENGTH, AND MY FORTRESS, AND MY REFUGE IN THE DAY OF AFFLICTION THE GENTILES SHALL COME UNTO YOU FROM THE ENDS OF THE EARTH, AND SHALL SAY, SURELY OUR FATHERS HAVE INHERITED LIES, VANITY, AND THINGS WHEREIN THERE IS NO PROFITS." All nations are going to come to the Israelites because at this time the world will have knowledge of who we are and what we are suppose to do. We will be the holders of the keys of salvation. There are some who are reading this who will say that racial and ethnic grouping doesn't matter any more. We're all "GOD'S CHILDREN" and we are all the same, HE LOVES US ALL. some will even say that the Most High has cast Israel away and now have chosen the Gentiles (Christians). Well, lets see what the bible has to say about all this. As I have stated, the Job of Israel is to be the priest of the Most High. This is the reason why we are chosen, we are also his servants. ISAIAH 41: 8-9, " BUT YOU, ISRAEL, ARE MY SERVANT, JACOB WHOM I HAVE CHOSEN, THE SEED OF ABRAHAM MY FRIEND. (9) YOU WHOM I HAVE TAKEN FROM THE ENDS OF THE EARTH, AND CALLED YOU FROM THE CHIEF MEN THEREOF, AND SAID UNTO YOU, YOU ARE MY SERVANT, I HAVE CHOSEN YOU, AND NOT CAST YOU AWAY." Israel is also the servant of The Most High, we are in charge of all the services concerning Yah. One of those services is for us to be priests to the world. Notice that he said he hasn't cast Israel away, we are still his chosen servants / priests and it is still very important to know who the Israelites are today. (2) YHWH HAVE NOT CAST AWAY HIS PEOPLE WHICH HE FOREKNEW." ROMANS 3:1-4, "WHAT ADVANTAGE HAVE THE HEBREW? OR WHAT PROFIT IS THERE IN CIRCUMCISION? (2) MUCH IN EVERY WAY: CHIEFLY, BECAUSE THAT UNTO THEM WERE COMMITTED THE ORACLES (word) OF YAH. In this verse Shaul (Paul) is once again telling the Romans that the Hebrew are still useful because they are the only nation that Yah has given his holy word to. He has not done so with any other nation. And nowhere in the entire bible does it says that Yah took his word back from Israel. He took back all of Israel's material things, such as land & riches, and gave it unto the Gentiles. But he never took the word back from us. He left that in the hands of Israel, where it remains to this very day. Throughout biblical times and even now, Israel had and has become a spiritually dead people. In the past and today, they have become accustomed to mixing the pure worship of YHWH with that of pagan idol gods. In the process of doing this they continue to bring more curses down on them, and at the same time have lost the knowledge that Yah has given them. (5) "THESE TWELVE YAHSHUAH SENT FORTH, AND COMMANDED THEM SAYING, GO NOT INTO THE WAY OF THE GENTILES, AND INTO ANY CITY OF THE SAMARITANS ENTER YOU NOT: BUT RATHER GO TO THE LOST SHEEP OF THE HOUSE OF ISRAEL. 15:24 BUT HE ANSWERED AND SAID, I AM NOT SENT BUT UNTO THE LOST SHEEP OF THE HOUSE OF ISRAEL." It doesn't get any clearer than that. The reason he was sent by the father to the lost sheep of Israel is because by this time period ("1st century CE) the Israelites were heavily involved into all kinds of corrupt forms of worship, from the temple priest to the average Israelite, they as a nation of people had lost the way of salvation. This wasn't a good thing at all, since they are the chosen priest of Yah. Yahshuah had to come from on high to teach them the correct way of worship and redirect them to the path of peace and righteousness. He never came to start a new religion called Christianity. He came to his own to save them from their sins (john1:11 Matthew 1:21), And the way to save them from sinning was to show them the correct way to worship, just as Moses had taught them. Yahshuah never went to the Roman authorities, and asked them to stop oppressing the Hebrews. Because he knew the only reason why the Romans had the upper hand over Israel was because we had turned our backs on Yah. So the curses in DEUT 28 and Lev 26: were being manifested and the only way to stop them is to turn from breaking the laws. 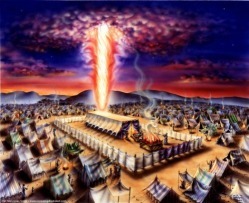 This was his message, "Repent for the Kingdom of YHWH is at hand". And if the kingdom is at hand, that only means that the kingdom priest must be at hand also. But the priest are not ready if they are caught up in all kinds of pagan practices, so we must repent first (change our ways), and learn the true way of life and then teach the rest of the sons of Adam. This is our life's mission. We, as natural born Israelites must first learn the ways of our creator so we can reverse these curses and be restored to our rightful place on this earth. I hope all who read this gain understanding, and if anyone is offended by anything offered here, that was not my intention. However, these are the words of The Creator, and I can't apologize for that. For all of you who think that The Father has given up on Israel, and that Israel is no longer part of the picture. Let me provide you with some more verses from scripture that prove that the true Israelite nation is still Major in the father's eyes. First let me point out a few scriptures that will provide you with a deeper understanding. Numbers 23:19 says that Yah does not lie. Malachi 3:6 says that Yah does not change. and DEUT 8:3, Matthew 4:4 says that we should live by every word that proceeds out of the mouth of Yah. Now, since Yah doesn't lie, He doesn't change and we are to live by every word he speaks, lets see what the scripture has to say about Israel, since the scripture is the inspired word of Yah. EXODUS 19:5 "NOW THEREFORE, IF YOU WILL OBEY MY VOICE INDEED AND KEEP MY COVENANT, THEN YOU SHALL BE A PECULIAR TREASURE UNTO ME ABOVE ALL PEOPLE FOR ALL THE EARTH IS MINE." AMOS 3:1-2 "HEAR THIS WORD THAT YHWH HAVE SPOKEN AGAINST YOU, O CHILDREN OF ISRAEL, AGAINST THE WHOLE FAMILY WHICH I BROUGHT UP FROM THE LAND OF EGYPT SAYING, YOU ONLY HAVE I KNOWN OF ALL THE FAMILIES OF THE EARTH, THEREFORE I WILL PUNISH YOU FOR ALL YOUR INIQUITIES (sins)." (36) IF THOSE ORDINANCES DEPART FROM BEFORE ME, SAID YHWH, THEN THE SEED OF ISRAEL, ALSO SHALL CEASE FROM BEING A NATION BEFORE ME FOREVER." Here Yhwh says his Nation is "the seed" of Israel. It doesnt say "the seed of Judah" or the "jews". This "seed of Israel" is a physical people scattered among all the nations on earth today--it is those who FOLLOW HIS COMMANDMENTS--ALL OF THEM, ALL THE TIME! DEUTERONOMY 4:20 "BUT YHWH HAVE TAKEN YOU AND BROUGHT YOU FORTH OUT OF THE IRON FURNACE, EVEN OUT OF EGYPT, TO BE UNTO HIM A PEOPLE OF INHERITANCE, AS YOU ARE THIS DAY." EXODUS 4:22 "AND YOU SHALL SAY UNTO PHARAOH, THUS SAID YHWH ISRAEL IS MY SON MY FIRSTBORN." (18) SAYING, UNTO YOU WILL I GIVE THE LAND OF CANAAN, THE LOT OF YOUR INHERITANCE." PSALM 148:14 "HE ALSO EXALT THE HORN OF HIS PEOPLE, THE PRAISE OF ALL HIS SAINTS OF THE CHILDREN OF ISRAEL, A PEOPLE NEAR UNTO HIM PRAISE YOU YHWH"
ZECHARIAH 2:8 "FOR THUS SAID YHWH OF HOSTS AFTER THE GLORY HAVE HE SENT ME UNTO THE NATIONS WHICH SPOILED YOU FOR HE THAT TOUCH YOU TOUCH THE APPLE OF HIS EYE." The children of Israel are the only people who have been called the SONS (children), SERVANTS, PRIEST, CHOSEN, INHERITANCE OF THE MOST HIGH. He never called any other group of people these, but does this mean that others are not welcome into the family of Yah. Oh no, I will never agree to that, because there is no proof of that. ALL people, of all languages and races are welcome to be partakers of the truth, and obtain the reward of everlasting life.